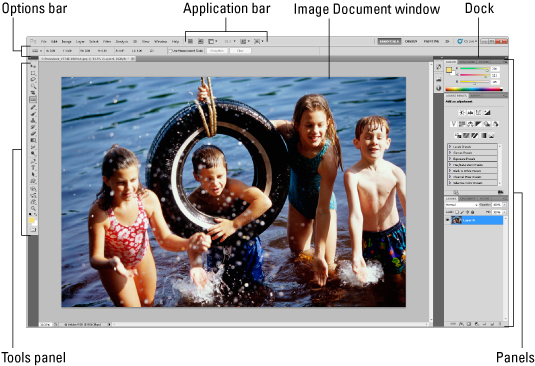 Just when you think the industry leader in digital imaging software had every feature, tool, bell and whistle you could possibly need, Photoshop manages to give more once again. Photoshop CS5 retains all it had in previous versions, and then provides some new features to help you with your tasks, such as Puppet Warp, improved HDR functionality, better Lens Correction, Mini Bridge, Content-Aware Fill, new brush tips, and more. None of it is hard to learn, and all of it will help enhance both your productivity and creativity. Photoshop CS5 sports a hefty tool count of 71 in the Extended version (a few less in the Standard version). Not to fear. 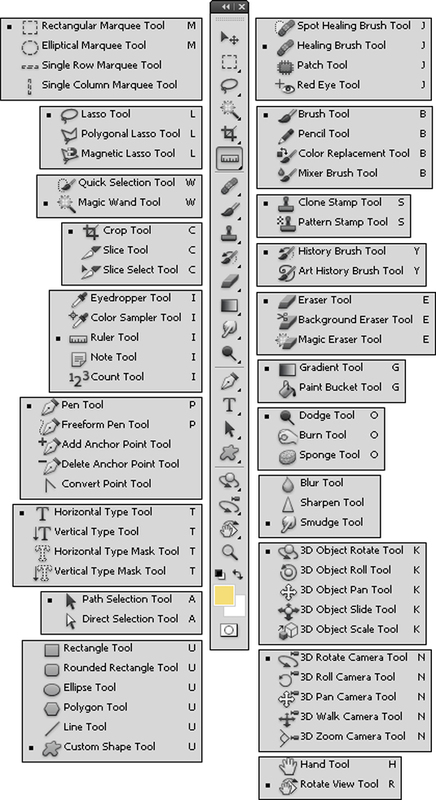 This figure shows you Photoshop’s tool icon, the name of each tool and its keyboard shortcut, even if it is tucked away, hidden in a flyout menu. Note: 3D tools are available in the Photoshop CS5 Extended version only. Mastering selections is a key skill to becoming a Photoshop CS5 master. The following table holds a few basic Photoshop keyboard shortcuts to get you started on digital photography projects of all sorts.